Aggressive driving is one of the top causes of car accidents in Missouri. We’ve all been there before: You’re driving the streets of St. Louis, minding your own business, when an aggressive driver almost gets in an accident with you. Unfortunately, that situation is sometimes flipped, and the unsafe driver is you! Aggressive driving is one of the top causes of car accidents in Missouri. For this reason, you should avoid it at all costs. One of the primary reasons why people choose to drive aggressively is a lack of time. Wherever they are going, they do not plan ahead and as a result, are frequently in danger of being late. To avoid this situation, you should do everything you can to stay ahead of schedule. That may mean waking up earlier, eating breakfast at work, or any other lifestyle change that will give you more of a buffer when you hit the road. Once you choose to plan ahead, you will rarely be late. Still, at times you will likely experience an unfortunate delay like heavy traffic. When this happens, understand that being late is not the end of the world. If you need to call somebody and inform them that you won’t be on time, then pull over and do it quickly. After that, all you can do is wait. Being late every once in a while shouldn’t have any significant effect on your life, so try not to sweat it. One of the most common triggers of aggression is heavy traffic. 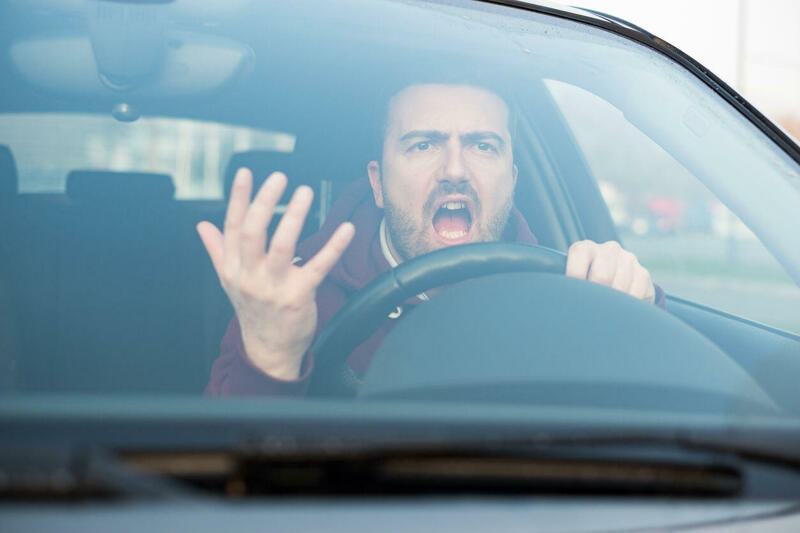 Something about congestion makes drivers angry, so do your best to avoid these situations. If you can, use side streets to get to your destination. Even if they take a bit longer, you should prioritize your sanity over a few minutes of your time. Another effect this might have is exposing you to more beautiful surroundings, which should elevate your mood. When one person gets upset, the people around them often do too. While this effect applies to you and other drivers, it has an even more significant impact inside your car. If you are driving with a spouse, friend, or children, do your best to manage their mood, as well as your own. Play calming music, make conversation, and try to make to time pass with little frustration. Sometimes, your aggressive driving will be the result of frustration that has nothing to do with the roads. Instead, you will take your anger about something else and vent it while driving. Not only is this is an unsafe practice, but it is a poor way to manage emotions. What you should do instead is leave your frustrations behind when you enter a vehicle and deal with them when you get back out. Though aggression is a tough emotion to resist, doing so is critical in keeping yourself safe. If you succeed, you will be much less likely to get into a car crash and sustain an injury. Of course, you can’t control other drivers on the road. If one of them gets too aggressive and hits you, your best bet is talking to a St. Louis car accident lawyer about your potential compensation.